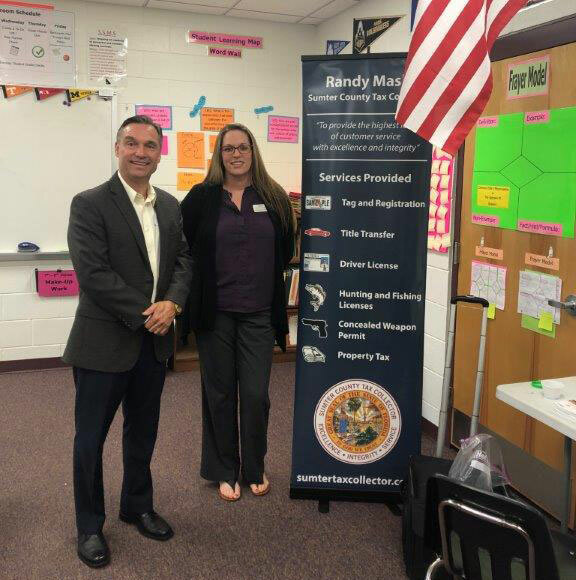 Kim and Randy Mask attended The Villages Middle School's Career Day. 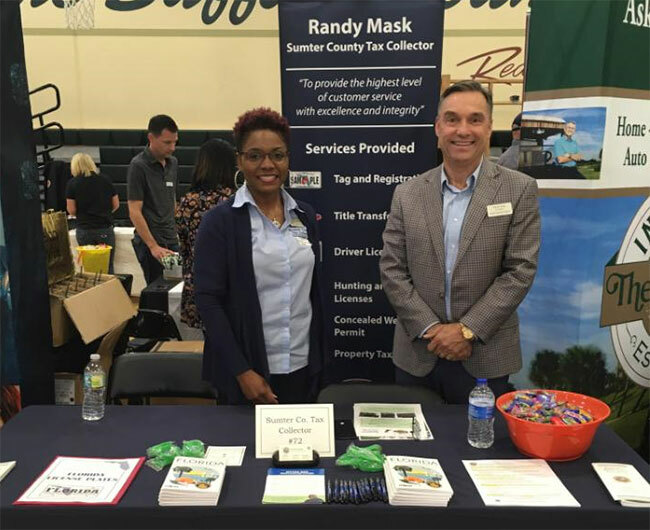 Randy Mask and Rachel attended South Sumter Middle School's Career Day. 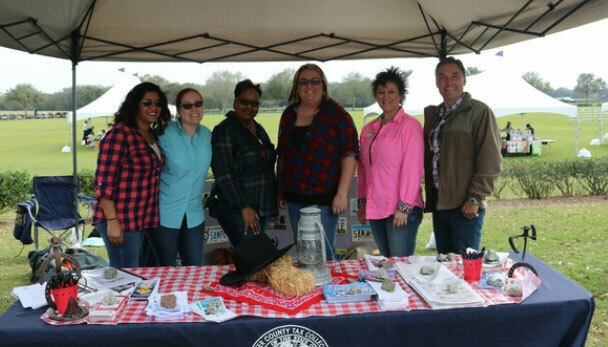 Kay, Kisha, Lizzy, Randy Mask, Sharon, and Lucy volunteered at The Villages Homeowner's Association 2nd Annual Hoedown. 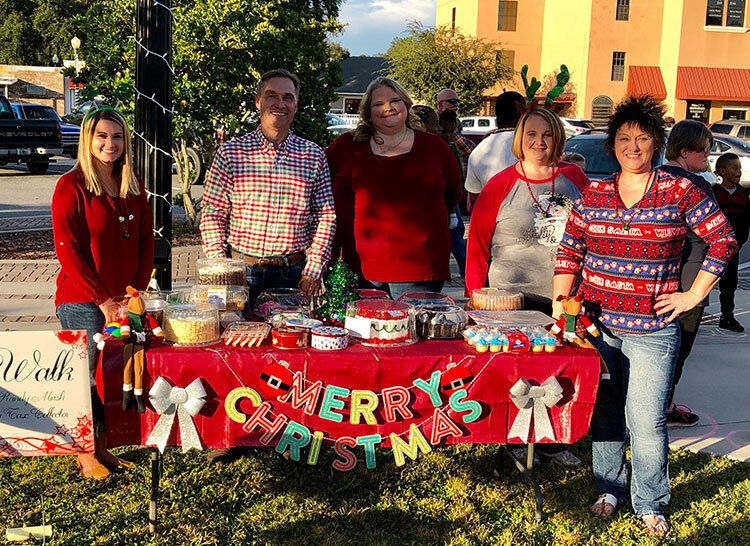 Lizzy, Randy Mask, Brandy, Amy, and Kay volunteered to run the Cake Walk at the City of Bushnell’s Annual Santa in the Park event. All cakes were provided by Tax Collector employees! 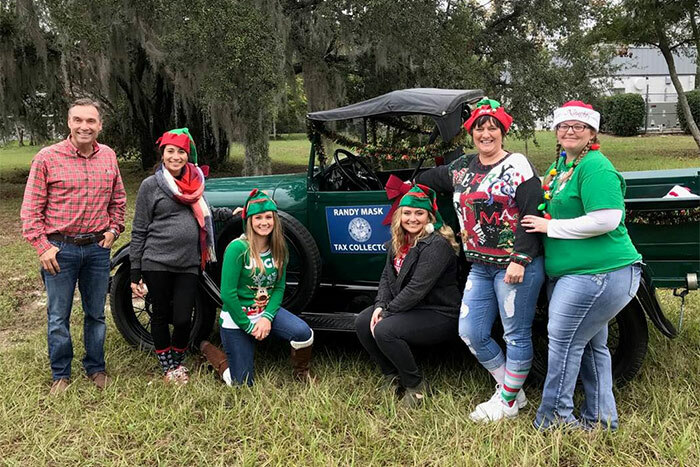 Randy Mask, Amy, Montana, Paige, Lizzy, and Kay participated in Lake Panasoffkee’s Annual Christmas Parade. 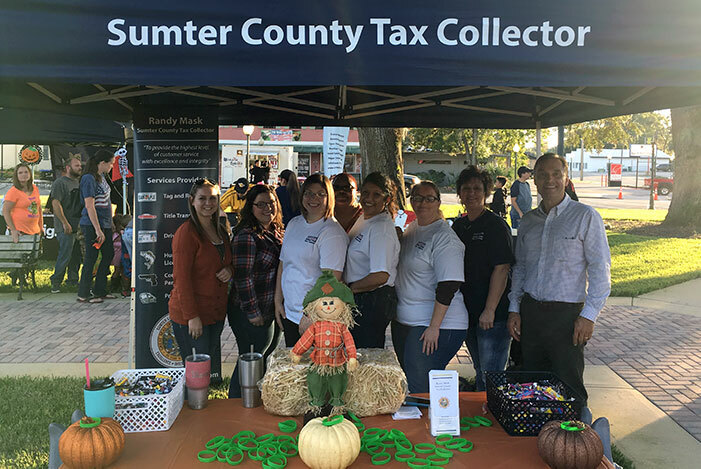 In November, the employees of the Sumter County Tax Collector’s office held an in office food drive to benefit the Wildwood Soup Kitchen. Together, the three branches collected 652lbs of food! 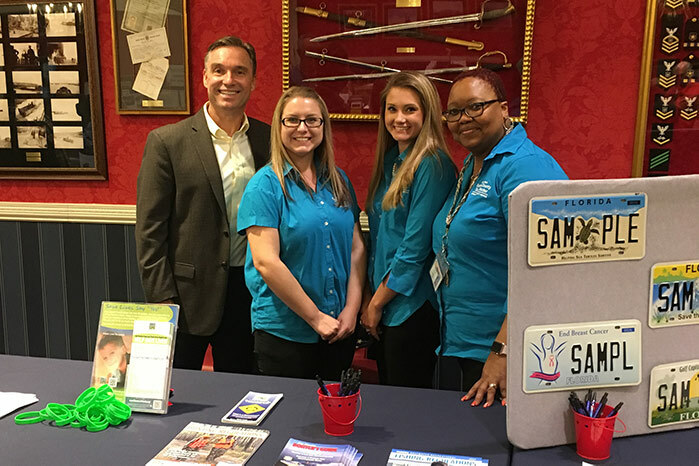 Rachel, Lizzy, Samantha, and Randy Mask volunteered at Government Day 2018 in The Villages. 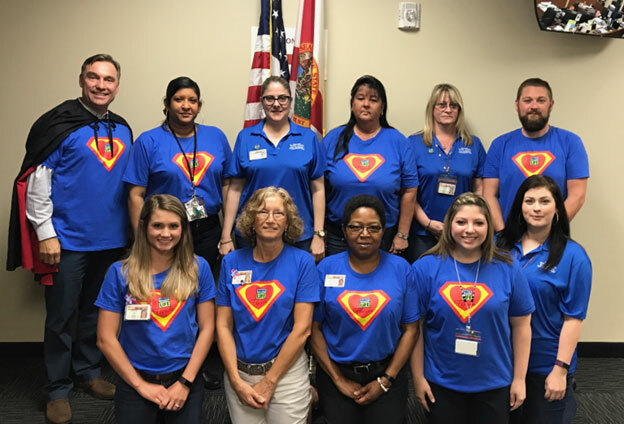 Lizzy, Paige, Amy, Brandy, Sharon, Samantha, Randy Mask, Anna, and Kay volunteered at the Sumter County Sheriff’s Department’s National Night Out at Lake Sumter State College. 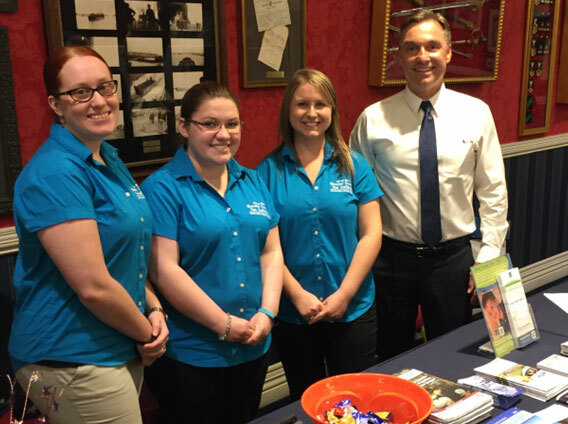 Anna, Brittany, Kay, Lizzy, Vernia, and Randy Mask volunteered at the Villagers for Veterans event. On the last working day of every week, employees can make a $1 donation to the Charity of the Year and wear jeans. The Charity of the Year for 2017-18 was Villages Honor Flight. 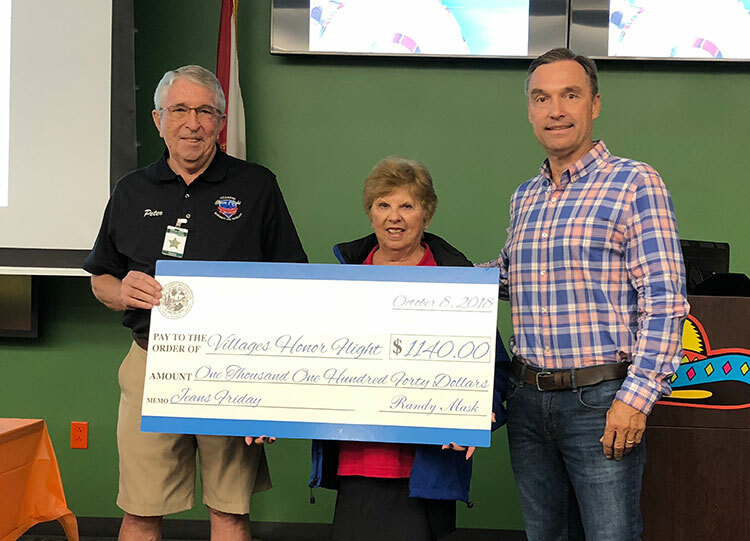 Tax Collector employees raised $1140.00 for Villages Honor Flight and presented them with a check during their annual training day. 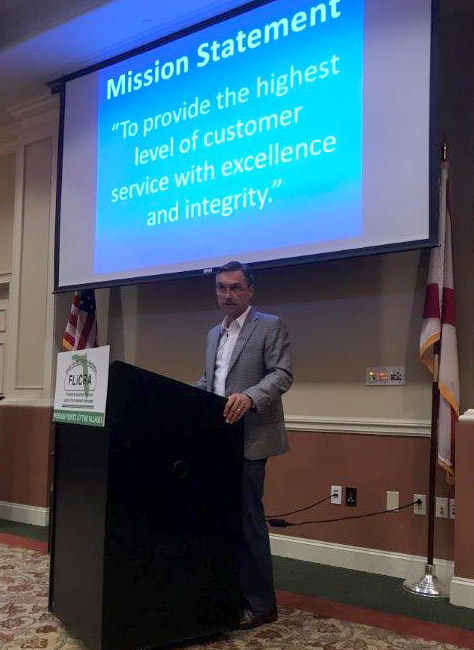 On February 22nd, Randy Mask presented to FLiCRA at their quarterly meeting. Florida Life Care Residents Association (FLiCRA) is a nonprofit association of residents living in Continuing Care Communities (CCRCs), which includes Freedom Pointe at The Villages. The mission of FLiCRA is to promote and protect the rights of residents who live in CCRCs. FLiCRA accomplishes their mission through their relationship with legislators and state agencies. The basis of the presentation was to make FLiCRA members aware of the services we offer, along with the responsibilities of the Tax Collector. 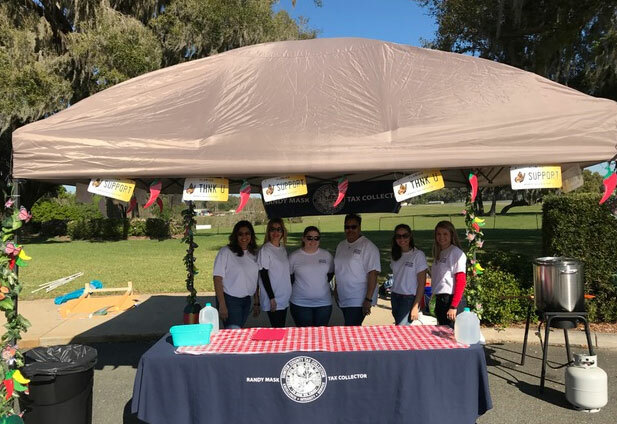 Carol, Sharon, Anna, Brittany, Lizzy, Kay, and Randy Mask volunteered at The Villages Homeowner's Association 2nd Annual Hoedown. 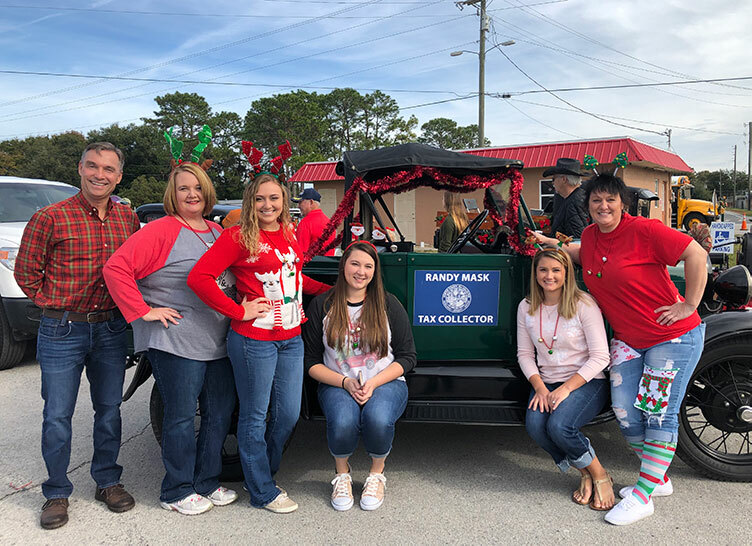 Randy Mask, Lucy, Lizzy, Montana, Kay, and Ruthie participated in the Lake Panasoffkee Christmas Parade. 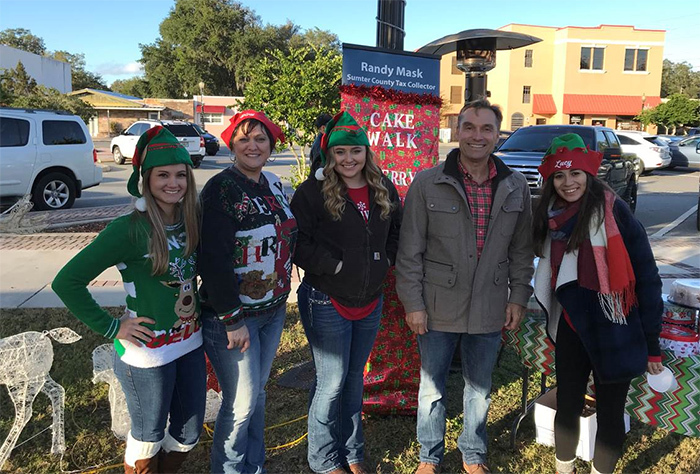 Lizzy, Kay, Montana, Randy Mask, and Lucy volunteered to run the cake walk at the City of Bushnell's "Santa in the Park" event. 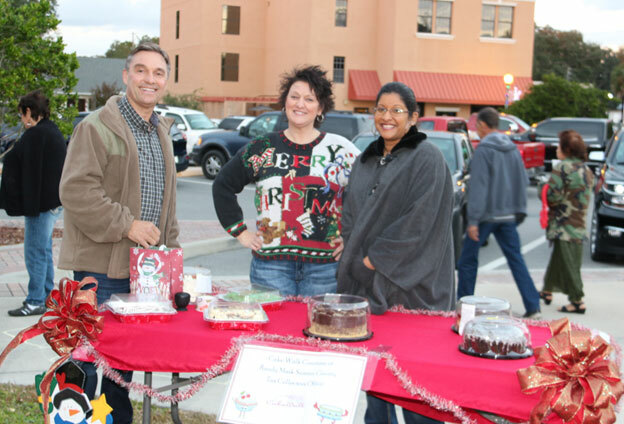 All cakes were provided by Tax Collector employees. 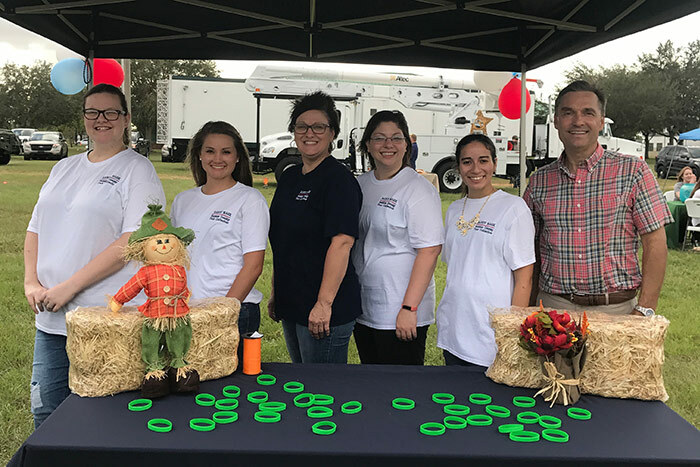 Lauren, Lizzy, Kay, Sam, Lucy, and Randy Mask volunteered at the Sumter County Sheriff's Department's National Night Out at Lake Sumter State College. Randy Mask, Kayla, Lizzy, and Sharon at Government Day 2017 in The Villages. Kayla, Shelby, Sam, Sharon, Anna, Ruthie, Kay, and Randy Mask volunteered at the City of Wildwood's Spooktacular event. Every Friday, employees can make a $1 donation to the Charity of the Year and wear jeans. The Charity of the Year for 2016-17 was Sumter Youth Center. Tax Collector employees raised $1000.00 for Sumter Youth Center and presented them with a check during their annual training day. 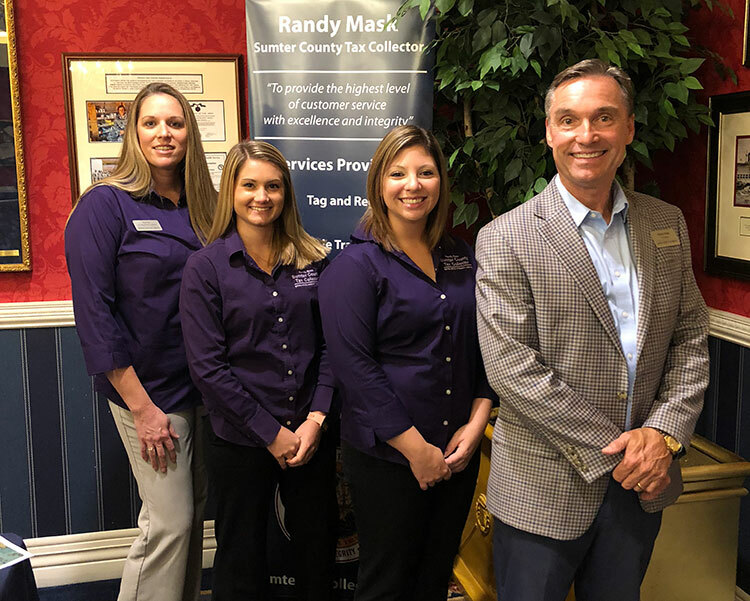 Randy Mask and the staff at the Wildwood Office in The Villages Sumter County Service Center. Randy Mask and the staff at The Villages Annex Office. Randy Mask and the staff at the Bushnell Office. 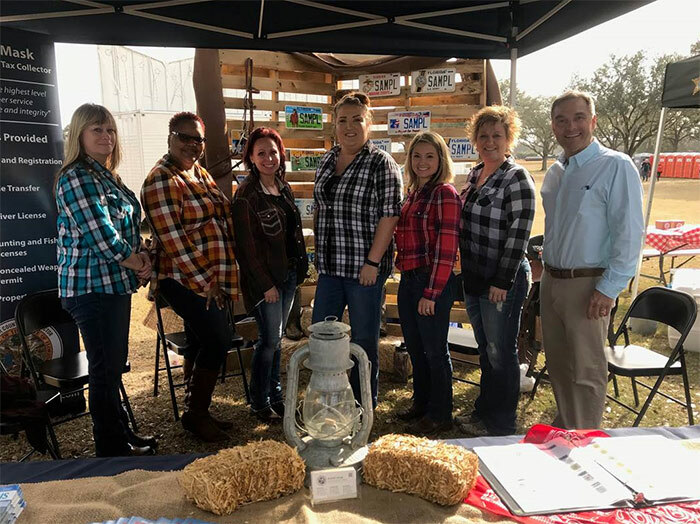 Anna, Emily, Sharon, Brittany, Kay, and Randy Mask volunteered at The Villages Homeowner’s Association’s 1st Annual Hoedown. Anna, Jessyca, Shelby, Sharon, Lucy, and Lizzy at the 7th Annual Spice It Up for Cornerstone Hospice Chili Cook-Off. 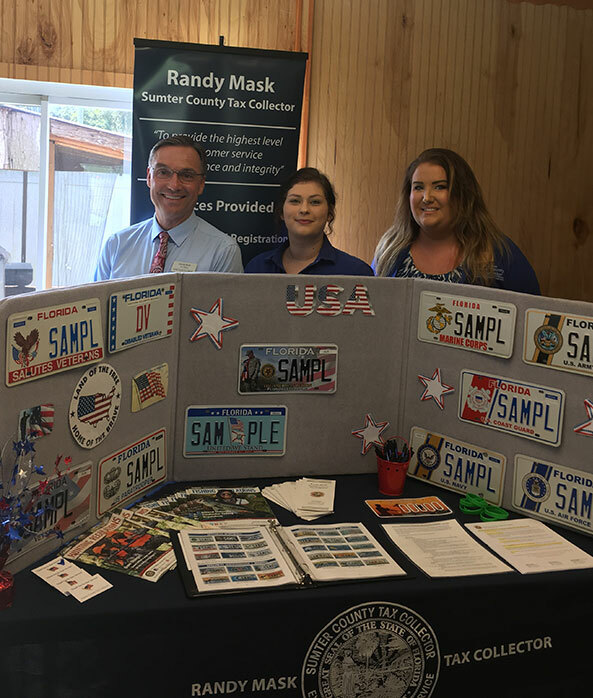 This is the 4th year the Tax Collector’s office has participated. For the second year in a row, the Tax Collector’s office took home the award for Most Money Raised for Hospice. Randy Mask, Kay, and Anna volunteered at The City of Bushnell’s annual Christmas Celebration. The office sponsored the cake walk, with employees providing all the cakes. Emily, Shelby, Kayla, and Randy Mask at Government Day 2016 in The Villages. 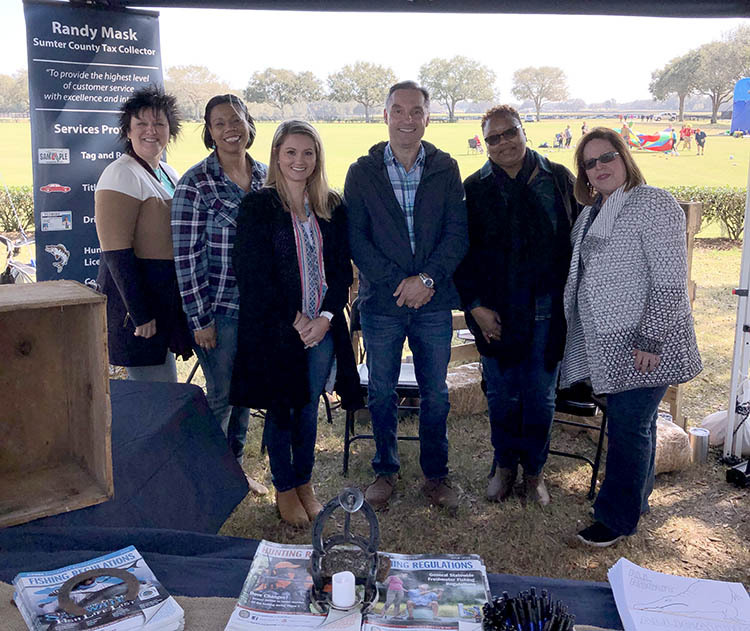 Every November, The Villages hosts Government Day, an even where the public has the opportunity to learn about local government agencies and the services they offer in one location. 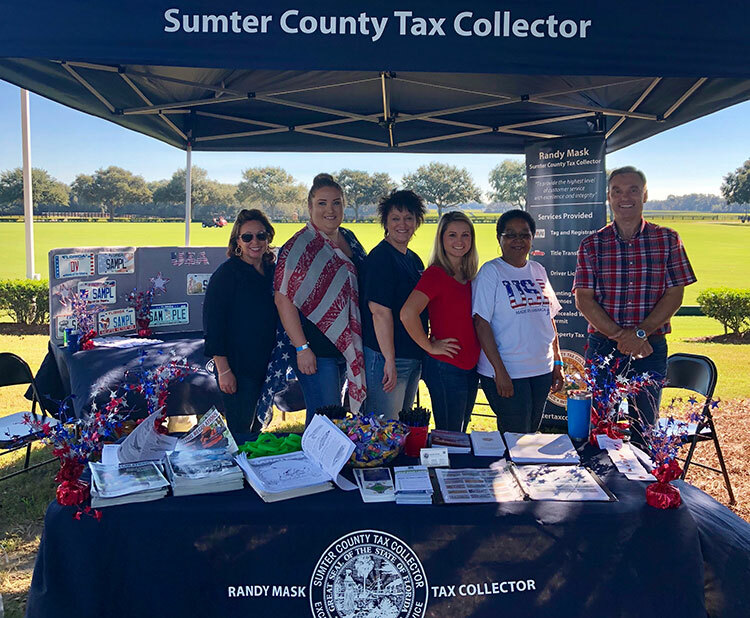 The Sumter County Tax Collector’s Office has participated in Government Day for the past three years. 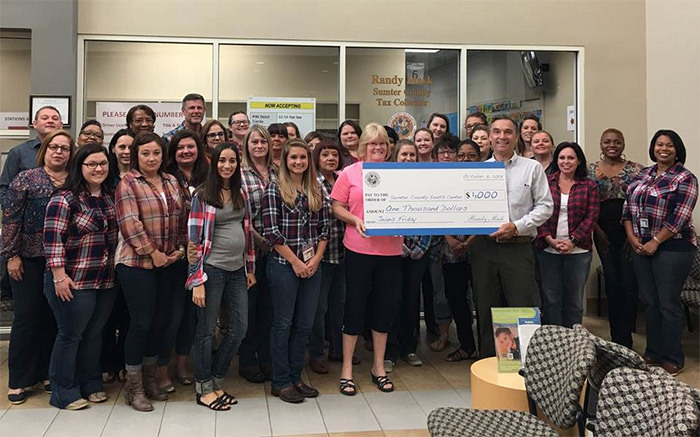 Every fiscal year, our office selects a local non-profit as our "Charity of the Year.” On the last Friday of every month, employees can make a small contribution to wear jeans, which goes to the Charity of the Year. At the end of the fiscal year all money collected is donated to the organization. 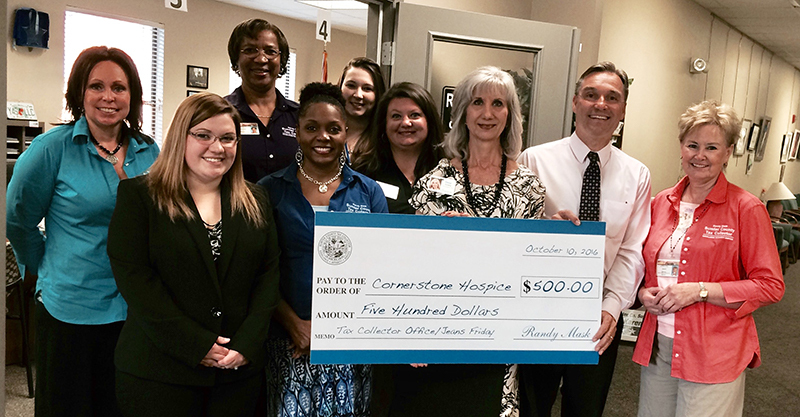 In 2015-16, the Charity of the Year was Cornerstone Hospice and we collected $500 from Jeans Friday and presented them with the check in October 2016. The Charity of the Year for 2016-17 is the Sumter County Youth Center.